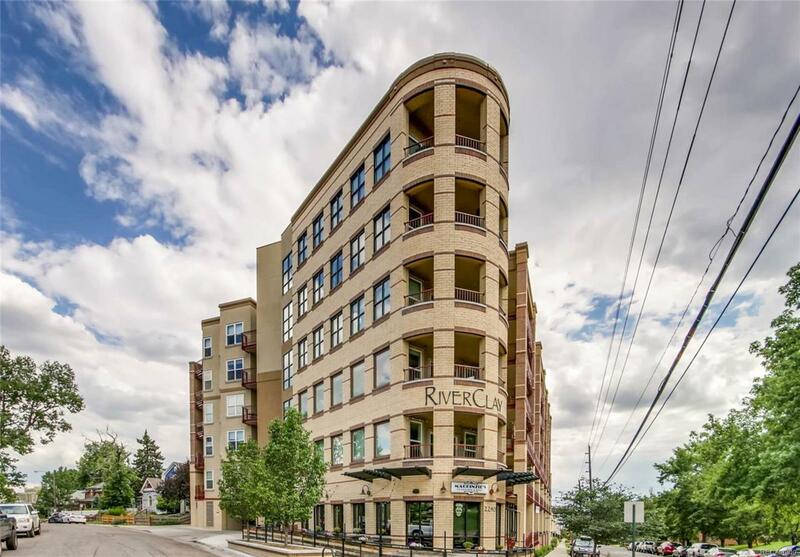 Welcome to River Clay Condominiums! This incredible home features, on open floorpan w 890 Sq Ft, 1 bedroom, 1 bath and is adjacent to Jefferson Park. The open floor plan creates the perfect space for entertaining. Huge 173 sq ft patio with mountain views that overlooks Jefferson Park for outdoor gatherings. Beautifully updated chefs kitchen with slab granite, Euro-style cabinetry and glass doors. Hard to find gas range with stainless steel exhaust hood. Stunning hardwood floors. New carpet in bedroom suite. Well-appointed bath. Spacious walk-in wardrobe closet with custom California Closets shelving. Reserved parking space in heated garage. Ideal home for balancing work (Google 1gb avail) and your busy lifestyle. River Clay offers a complete fitness center, along with secured bicycle storage, and a personal storage unit. New washer & dryer. The building is Leed Silver certified for green initiatives and reducing utility expenses for residents. All this and a bike maintenance room! Restrictions Other Leases Longer Than 6 Months Allowed.